Isometric adventure Weaving Tides has taken first place at the PC Indie Pitch at The Big Indie Fest @ ReVersed. The PC Indie Pitch is a regular event run by the makers of PocketGamer.biz. It gives indie developers the chance to pitch their games to industry experts and journalists in a speed-dating-styled format. Charming isometric adventure game Weaving Tides won over the judges to take first place at the PC Indie Pitch at the Big Indie Fest @ ReVersed. 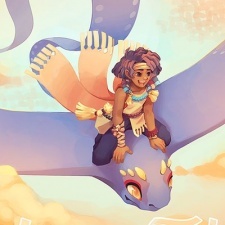 The story revolves around a young boy who befriends and rides a kite-like flying creature with an endless ribbon tail. Players must fly through the world, stitch up rips and holes in the environment, tackle enemies and unleash special abilities. Weaving Tides is being developed by Verena Demel, Klaus Fehkührer, Michael Huber and Sebastian Rangger. 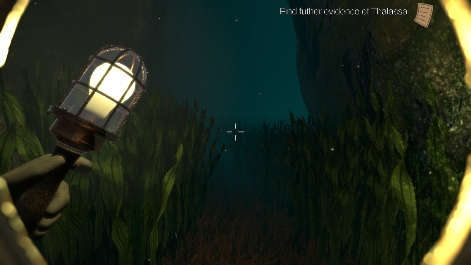 From Sarepta Studio comes Thalassa, an upcoming psychological thriller for PC, console and VR set underwater at the scene of a mysterious shipwreck. The title came in second thanks to its clean pitch, fascinating first-person narrative-driven adventure and atmospheric environment. In third place was manic twin-stick bullet hell and tower defence mashup Devader by Falkenbrew. Players are tasked with defending the core structure from 50 enemy waves, each more challenging than the last, with the screen slowly but surely filling up with more fiendish enemies and even more bullets.